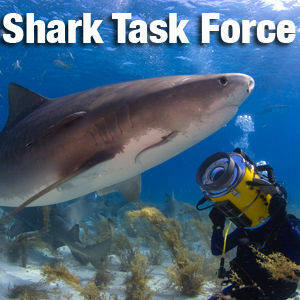 Shark Task Force: Dr. Sylvia Earle with a message of hope. Happy New Year! Dr. Sylvia Earle with a message of hope. Happy New Year! This time on the Shark Task Force, a special thought for 2017 from the one and only Dr. Sylvia Earle. She talks about the special bond between Tiger Shark Expert, Jim Abernethy - and a Tiger Shark he's known for more than a decade - Emma. We are fortunate to also call this shark friend. We've spent many days with Emma underwater over the years - and we always come back with a complete since of joy. Plenty more to come in 2017 as we celebrate ten years of The Shark Task Force. We also look forward to bringing you news of the premiere of This is Your Ocean: Sharks - Part 2. 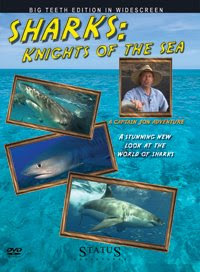 Happy New Year - and remember - why wait a whole year, for just one week on sharks? Special thanks to Jim Abernethy, Guy Harvey and the Guy Harvey Ocean Foundation.